Please read about temporary changes to hours during the holidays. We're not just for lunch and dinner — we have a full line of breakfast sandwiches, burritos, juices, and coffees. Founded in 1996, Vergas 66, as most people know us, has been here to provide stellar service, incredible convenience, and pure premium gasoline, refreshments, and food. 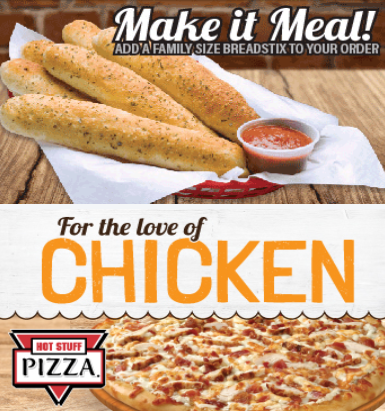 Try us today for one of our delicious Hot Stuff Pizza® or fresh-made sub sandwiches. Nothing beats the warm Minnesota heat like cool, creamy, and refreshing ice cream. Have a cone, shake, or a take home a pint of ice cream to enjoy with the whole family.